Noah Fields is WA State High School Champion! Noah Fields, a 9th grader from Charles Wright Academy in Tacoma, won clear first place at the WA High School Individual Championship. Noah is a long-time student of IM Georgi Orlov, and his rating has now passed 2100 for the very first time. Along the way, he defeated both of the master-level He Brothers in back-to-back games and held a draw against expert James Colasurdo to clinch the title! For his victory, Noah will represent Washington State at the Denker Tournament of High School Champions this August held alongside the U.S. Open in Phoenix. 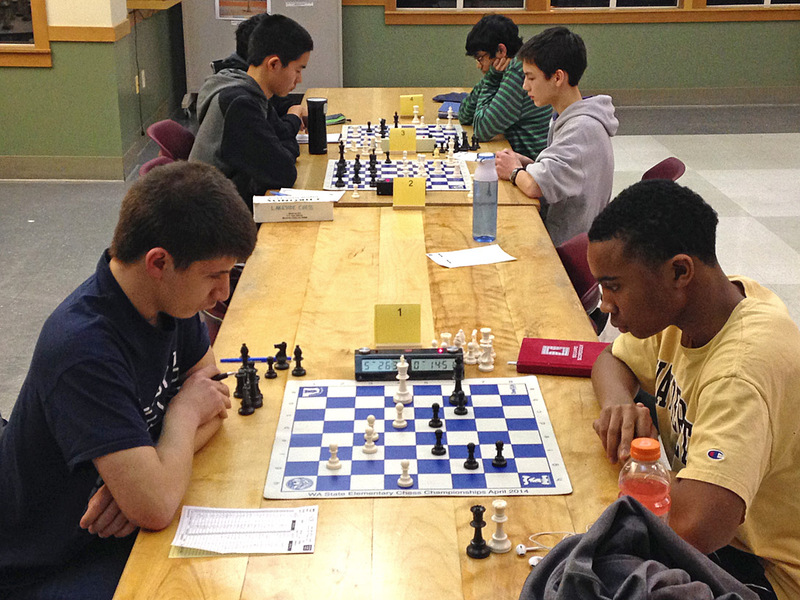 The tournament took place Jan. 23-24, 2015 at Lakeside School in Seattle and attracted over 90 players, including two National Masters and a handful of strong experts and class A players. The majority of players took part in the Reserve U1200 section. The tournament was directed by Ben Radin with assistance from WHSCA President Siva Sankrithi and organized by WCF Tournament Coordinator Dan Mathews. It has now been USCF rated: See the crosstable. Colasurdo vs. Fields at the 2015 WA High School Individual Championship. 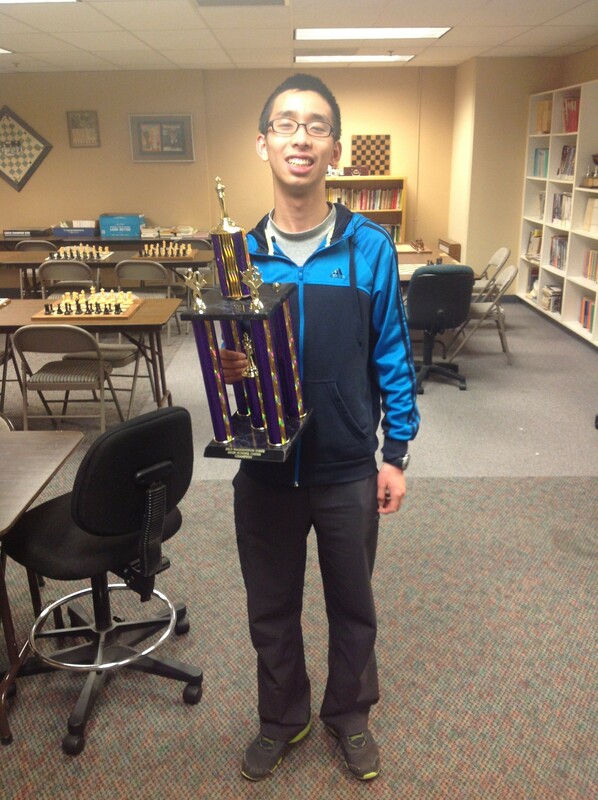 Hi Everyone, Congratulations to Xiaoman Chu, a freshman from St. George School in Spokane, for winning the 2013 Washington State High School Individual Championship! He tied for 1st with 4/5 along with Megan Lee and David Inglis. For his victory, Xiaoman is invited to represent WA in the Denker Tournament of High School Champions, held concurrently with the U.S. Open in Madison, WI in August. The playoff games were played at the Seattle Chess Club on March 2. Colors were drawn at random and the following games were played at a time control of G/90 + 30 sec. increment. Above from a Facebook report by WCF President Josh Sinanan.